Chandigarh is one of the best places to stay, to sightsee and to shop. So that you do not have to struggle we have got you a sorted list of the Best Places to Shop in Chandigarh. Chandigarh is one of the wealthiest cities in India. It is the best example of urban planning and modern architecture in the 20th century. Apart from being the city beautiful of India, it is also famous as a fashion hub. You can find world-renowned designer brands, from designer boutiques to street shopping places in Chandigarh. 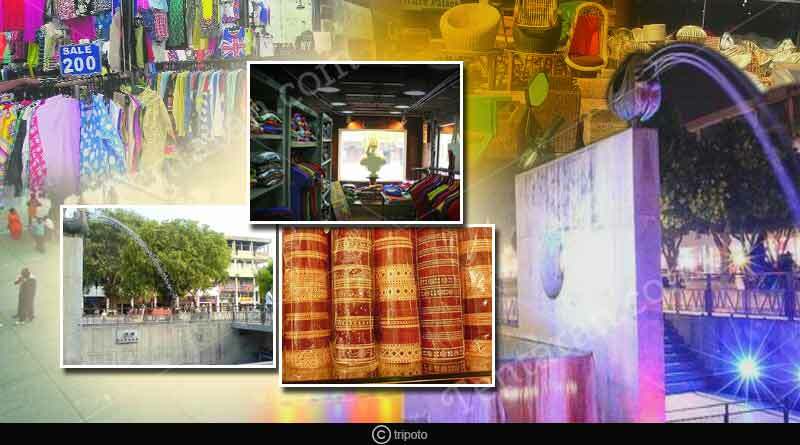 This market is a part of sector 17, Chandigarh. It is the most iconic shopping market. Most of the shops are branded but you can also enjoy street shopping here. Music fountain show and laser show is an eye-catcher. You can visit this place in the evening as here you can spend as much time as you wish. You can get the best winter collection here. This place is famous for clothing items, gems, handicraft, and jewellry. In this market, you can find the best clothing, bags, shoes, and almost everything at the cheapest rate in the town. The market is located close to the bus stop and one can reach this market easily. There are a number of food stalls that offer you different snacks with great taste. This place is located in the motor market road, Burail village, Chandigarh. This place is famous for second-hand cars, car accessories, and auto parts at a very reasonable price. This market is famous for furniture items. There are multiple shops and has the widest range of furniture in this place. So, if you are looking for new beds, or need to find the best dining table, and Almira this is the place you should visit. There are so many stores to explore here. It is best for budget shopping. You can experience a number of restaurants and shops that offer a wide variety of food and home requirements. It is a very old market in Chandigarh but one can find anything here. You can find the latest designs and this market is famous among females. This place is famous for their stylish t-shirts with social messages that are presented as catchy slogans with amazing graphics. Reasonably priced, these t-shirts cover everything from corruption to communal politics. For more articles like the Best Places to Shop in Chandigarh, do Subscribe to our newsletter and follow us on Facebook, Twitter, and Google+. Yes all these places are good places to hop and shop in Chandigarh and also add elante mall in it.